Born in 1926 in Heidelberg as son of a member of the municipal philharmonic orchestra, Udo Schaefer developed early in life an abiding love of classical music and enjoyed performing chamber music, notably together with Sigrun, to whom he has been married since 1952. After four semesters’ university study in musicology he switched in 1950 to law, obtaining his degrees at the Ruperto Carola University of Heidelberg and subsequently serving as judge and later as chief public prosecutor at the State Court of Heidelberg, from which position he retired in 1988. His parents, although Catholic in origin, had distanced themselves from the Church, so that Udo received virtually no religious instruction. His youthful interests were primarily aesthetic in nature (literature and philosophy), and he was what one would call an agnostic. When after the war he first came in contact with the Bahá’í Faith in Heidelberg he was intrigued by that community’s international character, and in particular by its universalistic, cosmopolitan goals and its rejection of racism – features which represented precisely the opposite of the Nazi ideology which had spoiled his youth. Yet religion was terra incognita for him, and to him these goals seemed more political than religious. His appreciation for the mystical dimension of this religion, and his interest in questions of belief in general, grew primarily out of frequent discussions with an individual Bahá’í who was highly informed and who answered his sheer endless questions with great patience – a process which resulted in 1948 in his accepting the Bahá’í Religion. Parallel to his law studies he acquired a thorough grounding in theology, Islamic studies and comparative religion, academic pursuits which afforded him important insights into his newly acquired Faith. As doctoral thesis he completed a study of the constitutional law of the Bahá’í community in comparison with canonical law. Since the early 1950’s, Udo Schaefer has held an appreciable number of lectures and seminars both in Germany and abroad, in the past two decades tailored increasingly to academic audiences at the invitation of universities and other institutes of higher learning. Right from the beginning of the current upsurge in interreligious dialogue he has frequently been a speaker at international conventions. On two occasions he has represented the Bahá’í International Community (BIC) at United Nations congresses: once in 1985 in Milan, Italy on the theme of Crime and Crime Prevention (delivering a paper on this subject), and again in 1992 in Syracuse, Italy, on The Establishment of an International Criminal Tribunal to Enforce International Criminal Law and Human Rights. In 1994 he was a member of the government delegation at a German-Iranian dialogue over human rights being held in Teheran, where in the presence of the assembled cadre of high priests (Ayatu’lláhs and Hujjatu’l-Islám) he caused an uproar when he vocifrously denounced the persecution of the Bahá’ís. 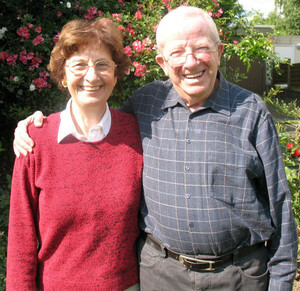 Over the decades he has provided legal advice to the National Spiritual Assembly of the Bahá’ís in Germany, on which body he also served as member for a total of fifteen years during three separate periods. Udo Schaefer is the author of encyclopaedic contributions, monographs and theological articles in professional and learned journals. He was the first to produce literature devoted to the fundaments of Bahá’í law and Bahá’í ethics. A considerable portion of his writing has been translated variously into English, French, Dutch, Spanish, Portuguese, Russian and Persian.